On Tuesday February 26, the moment was finally there: the start of the FinanceDay 2019. During this day, six prominent Finance companies visited Tilburg. Motivated students went to get started on the challenging cases provided by these companies. It is already the fifth edition of the FinanceDay. 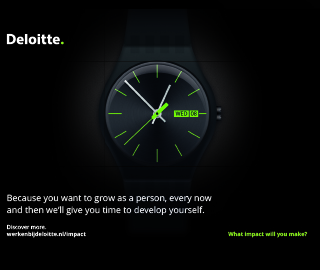 The event provides a great opportunity for students to get to know their possible future employer. Through two case sessions and a three-course lunch, students got the opportunity to learn more about five out of the six participating companies. The following companies participated during the last edition: Deloitte, Duff & Phelps, Finance Ideas, Kempen, PGGM and TriFinance. They were the perfect companies to form a diverse mix for the FinanceDay. We arrived early at the location to prepare and around 09:30 the first students arrived. After the opening speech and some coffee, the students were ready to solve the first case. They did this by working together in groups. It was great to see that they could apply their knowledge gained during their studies to the case. After great efforts delivered by the students, it was time for lunch. The students were able to get to know the other companies better through a luxurious three-course lunch in an informal way. With fresh energy, the students started the second case which belonged to the last company. For this case, a company had to be valuated and the best investment had to be found. After a whole day of being busy with the cases, the final efforts were done around 17:00. To end the day in a relaxing way, there was time for some drinks which was a perfect opportunity to network with the companies. As a board member of Asset | Accounting & Finance, I was responsible for the organization and a smooth-running of the FinanceDay. Firstly, you maintain a lot of contact with the participating companies. It is important that all companies are kept up to date and that they understand what is expected from them. This can be done through, for example, discussing the course of the day with each of those companies. Besides maintaining contact, having a suitable location is of major importance. Compared to previous years, this year, we wanted to organize the event in the city of Tilburg. Therefore, we had to find a location in the city and soon the Philharmonie caught our eyes. After the companies and the location were set, we could start with the promotion of the event. Obviously, the FinanceDay could not take place without students. After an intensive period of promotion using flyers, posters, and social media, the available spots were filled. 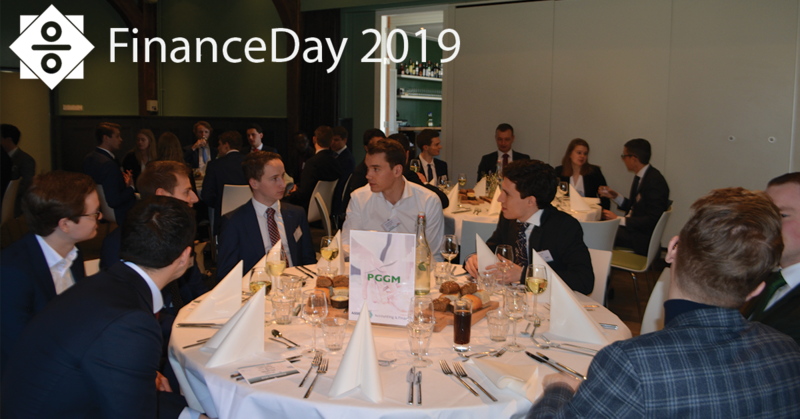 Together with 45 students, six companies and an amazing location, the FinanceDay was completely prepared and organized! However, to completely finish the FinanceDay 2019, we have to evaluate the event. This is done via feedback received from students and the participating companies. By doing so, we can keep improving the event and it allows us to organize an even more successful edition next year . Altogether, we can look back on a very successful FinanceDay. I would like to thank all the participating companies for their input and providing a challenging case for the students. Finally, I would like to thank all participating students for their great efforts!